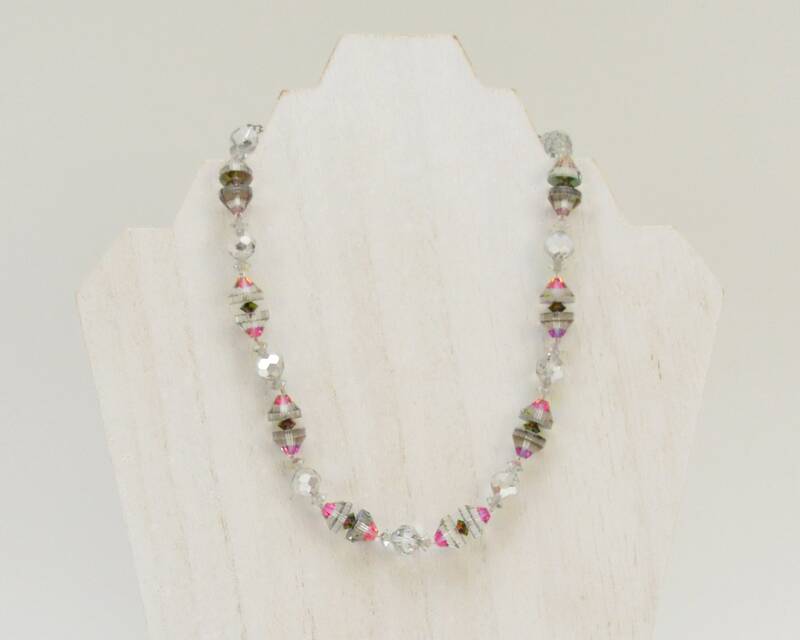 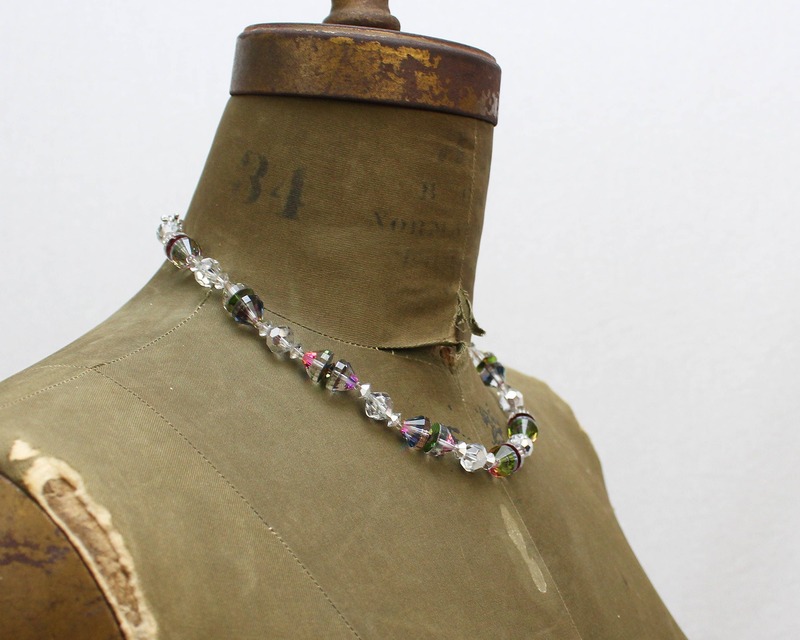 A beautiful 1960s Vendome single strand crystal bead necklace. 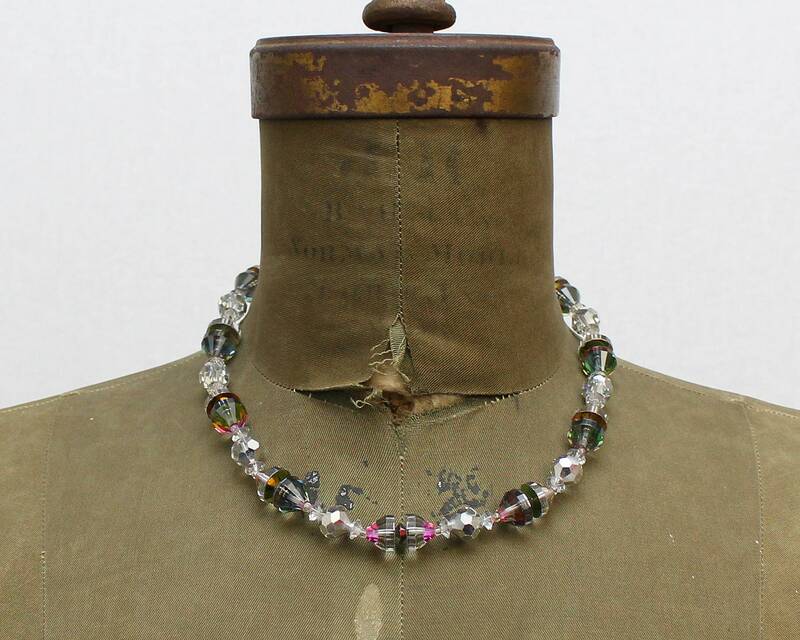 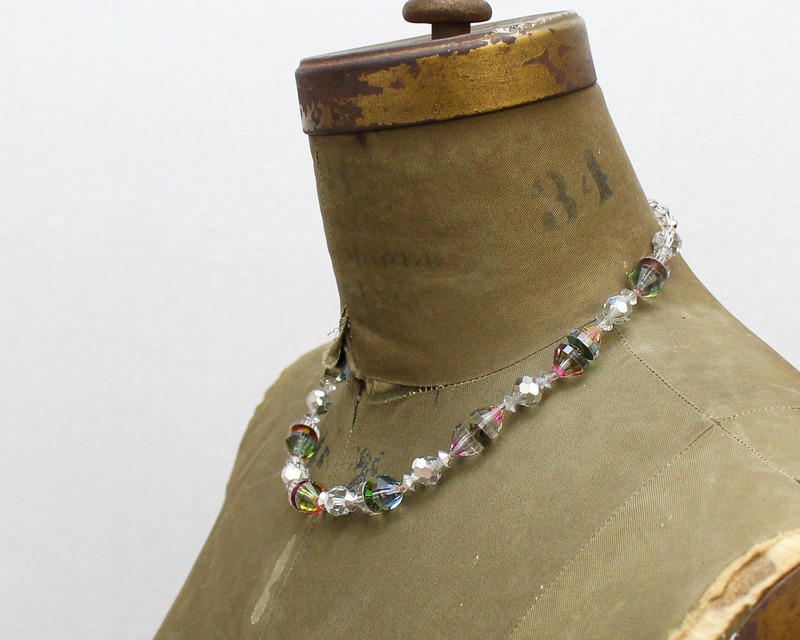 Beads alternate between clear, silver coated, and multi-color coated. 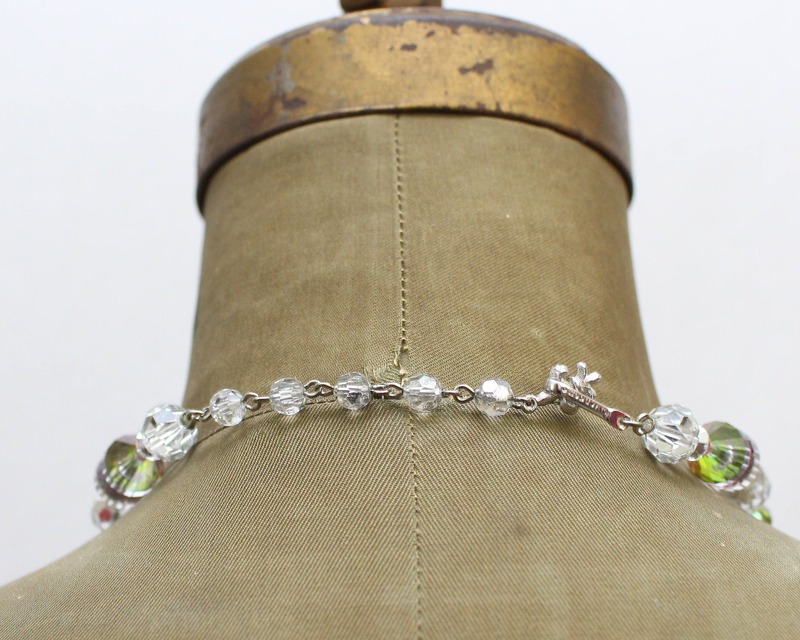 The necklace secures with a hook clasp, and the end opposite the hook is adorned with a little fleur-de-lis.